Pawnaroma (we'll excuse the pun), is a gorgeous villa set amidst greenery that gives you an uninterrupted view of Pawna Lake with a host of modern amenities. Read on. It's peaceful, surrounded by greenery, gives you a stunning view and is the perfect place to forget the city woes and just unwind. We feel that itself wins this villa a gold star. 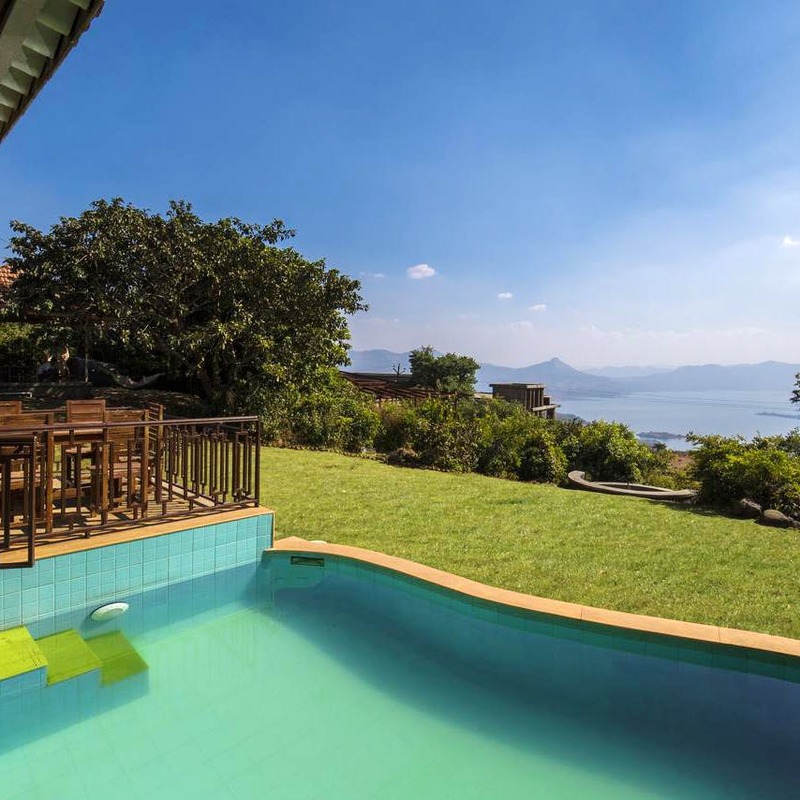 The 3 BHK villa has double beds and bunk beds, making it ideal for a large group. It has a lawn that allows you to play outdoor games, a lovely pool where you can spend your day in, and even a bonfire pit, perfect to make the evening really special. What we truly loved is the outdoor eating area, right next to the pool, that can seat around 8 people. You get the best view from here, folks! The villa also has a fully equipped kitchen and if you're keen to host an event on the lawn, you can do so with prior notice. Disclaimer: Please note that while writing this piece, the price was INR 15,000 for six people. For more details on booking, please contact the owner.